You’ve only days to wait until The Walking Dead unleashes its first trailer for Season 8 at Comic-Con 2017, but why not get a head start? 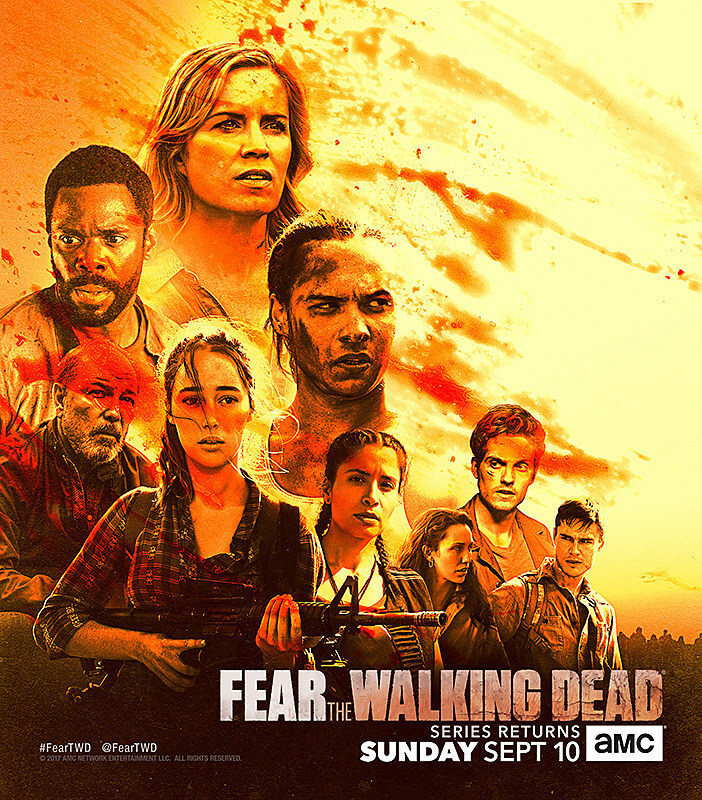 Literally, as heads are all over the new Season 8 key art, which also sets an October premiere (with a little Fear thrown in). AMC unveiled the giant Comic-Con banner for The Walking Dead Season 8, accentuating Rick and Negan squaring off with everyone else caught in between. 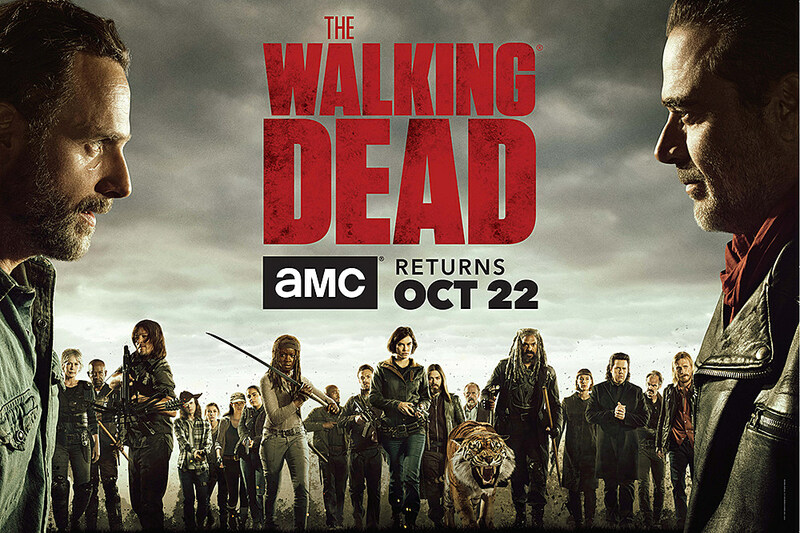 Season 8 will pick up on Sunday, October 22 at the usual time, simultaneously marking the horror-drama’s 100th episode. Here’s the key art for Season 3B of Fear The Walking Dead as well, which returns September 10. We’ll see more with the first trailers this week, so stay tuned for Comic-Con 2017.